Quantic Dreams has released a remastered collection of their two PS3 titles so that those who loved them or may have missed them can finally play them on their new PS4 systems. When Heavy Rain first came out it blew my mind, it had so many branching paths and things that could happen and the realistic visuals and intriguing story combined with a sort of interactive-movie concept really worked out in amazing ways, especially because this happened before Telltale Games has hit the scene in full force. Years later, Beyond Two Souls released starring Ellen Page and Willem Dafoe and while I was super excited to jump into it after my immensely satisfying time with Heavy Rain, it was ultimately a letdown. Not enough player agency left it feeling less like an interactive movie that you could steer, and more like a movie that you sort of happened with or without you, but you got to press some buttons to keep the scenes going. 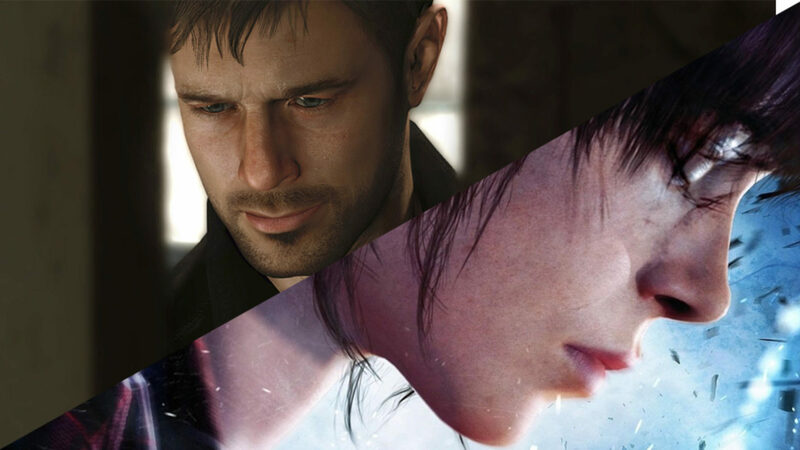 A quick look at reviews coming out for the collection on PS4 is showing that Heavy Rain may not have aged as well as I would have liked and Beyond Two Souls will always be pulled down by its core issues, but if you haven’t played them it may be worth a look. Man, I would kill for a fresh, new sequel to Heavy Rain. It really was something in its day. I can always hope that Quantic Dreams’ new game Detroit will be able to tap into its magic once more.